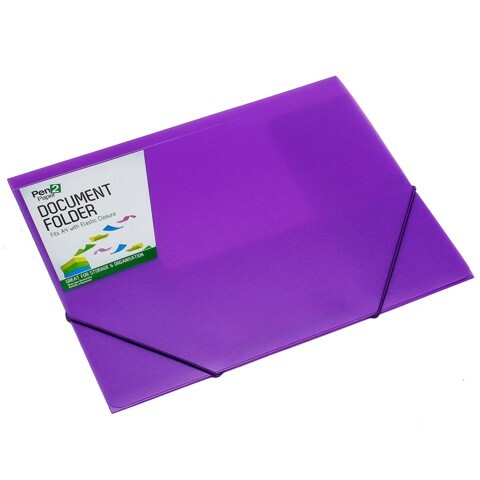 Document Folder W/Elastic A4. 24.4 x 31.8cm. Purple | Red | Blue | Clear. PP Plastic | 0.48mm. 97G Packaging: Bulk Packed with Sticker.